This product is available for sale globally and will be stocked in St. Louis, Mo. Gothenburg, September 2016: SKF today announced the introduction of its Lincoln premium lube trolley packages for oil or grease dispensing from drums. These lube trolleys are suitable for servicing a full range of vehicles, as well as industrial and machinery processes, in light to heavy-duty environments. 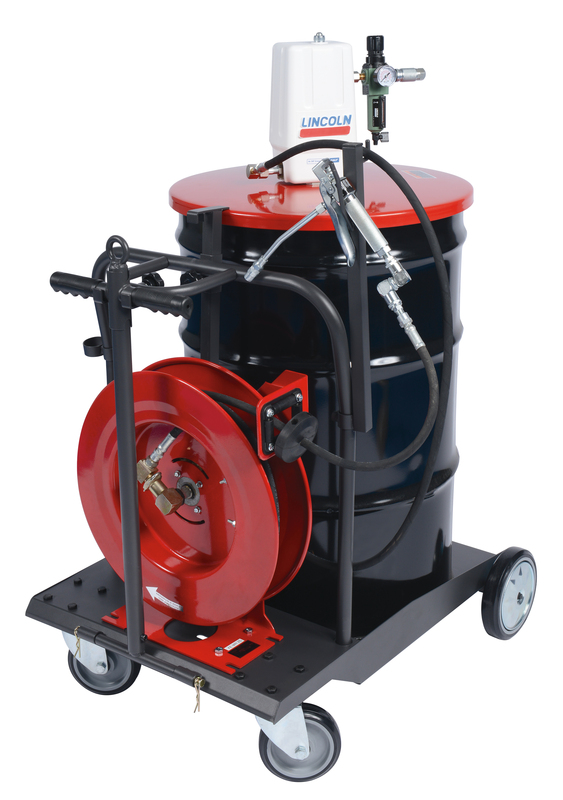 Designed for convenience and portability, the lube trolley packages come complete with all components needed for dispensing oil or grease directly from 55-gallon (208 liter) or 400-pound (181 kilogram) drums. Available packages include a pneumatically operated Lincoln pump for oil or grease, a durable hose reel, metering device, air control with filter/regulator/gauge and connection hoses and fittings. The trolleys are easy to maneuver on uneven surfaces in shops and factories and make dispensing possible without installed overhead reels or bench tanks. A pivoting handle enables the operator to manually move the trolley or attach it to a motorized cart.